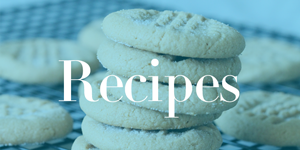 Home / Savings Blog Posts / Holidays / 4th of July Recipes / Walking S’Mores Recipe! Check out this awesome on-the-grill dessert Walking S’Mores Recipe! If you love to grill, this Walking S’Mores Recipe is perfect for you and your family! My family loves to grill in the summertime… Pool parties, barbecues, 4th of July Parties, Cookouts, Campouts, no matter what the occasion, we love to fire up the grill and get something cooking! This is an easy dessert recipe that you can throw in a foil pack and then place on the grill! Your kids will love to watch the ingredients transform into a yummy dessert! Plus, here are even more Easy Dessert Recipes for you and your family! Super easy and efficient! Plus, there is little mess to clean up (yay)! I love S’Mores no matter how they are cooked, so you better believe that I am loving this easy on-the-grill recipe! Also, be sure to check out this Chicken Fajitas on the Grill Recipe for another foil pack recipe for easy grilling! What are some of your favorite things to throw on the grill during the summer? Do you have a family favorite go-to recipe that is either in a grill pack or on-the-grill recipe? Grilling recipes have become a favorite for our family. I hope that you enjoy this recipe as much as my family does!